*This post is sponsored by PEEPS & CO! Dirt pudding is one of our go-to ideas for spring time. We usually do it in a flower pot with gummy worms. When thinking of a fun recipe with make with Mia for the fall I decided that dirt pudding would work perfectly for Halloween too! These dirt cups are so simple that they barely even need directions for you to follow. We loved adding PEEPS to make them fun and festive! 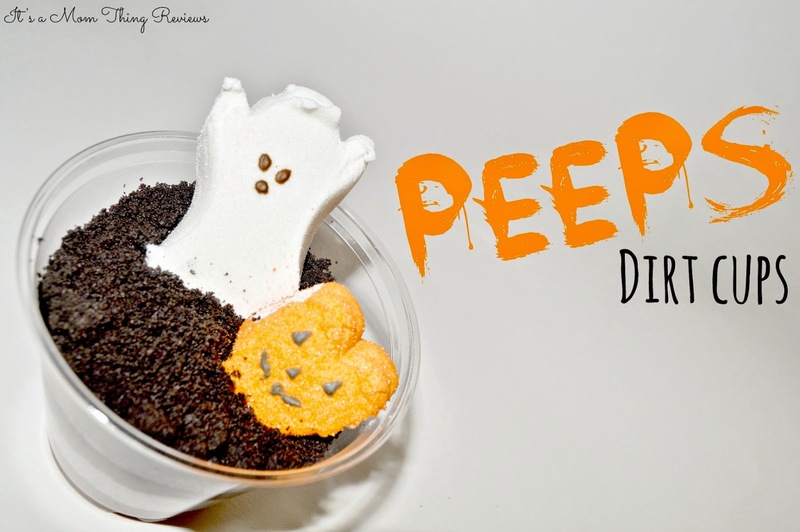 All that you need to make these dirt cups is chocolate pudding, oreo crumbs, and PEEPS! We also got small plastic cups to put these in so that they could be an individual treat! They are perfect for Halloween parties! Once you have the pudding made you put a layer into your plastic cup. We did two spoonfuls, but you may add more or less. We use enough so that the bottom is covered and there is some pudding to eat! We then did one spoonful of oreo crumbs on top of the pudding and shook the cup gently to spread it around. Next we added another layer of pudding. We again, used two spoonfuls. Once the second pudding layer was done we added the second oreo crumb layer. We did another spoonful of crumbs and shook the cup gently again to spread it around! Last but absolutely not least we added the PEEPS! We added a ghost and a pumpkin to the top. Mia absolutely loved making these and they are so simple. She did most of the work without me! I only had to tell her how much to add! These are a simple and super fun dessert idea! That sounds like a super great treat that I would love to eat. Making them sounds so easy. I love all 3 of those ingredients! Oh how cute! My kiddos would love if I had these waiting for them when they got home from school. Those are so fun! I haven't had Peeps in a long time. Now I am craving the sugary goodness of them! These are really cute treats! They'd be perfect for my son's daycare group. So easy and cute!!! I love that Peeps show up for all different holidays now - great way to make use of them! This is such a simple idea but the same time quite effective as a decor for Halloween! Love it :) Certainly going to make it with kiddos. Thank you! 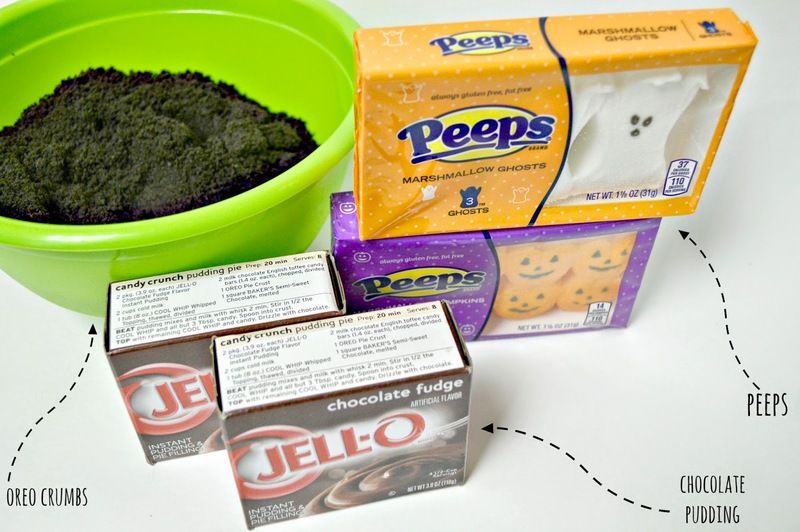 Love these - well not the Peeps part (haha, that's personal) but the idea is fun, and likely tasty!